–Do I really need to market my business using social media? What platforms should I use to reach customers? How do I create asocial media strategy for my business? Learn the answer to all these questions and more with Access Publishing’s Social Media Seminar. The seminar will be hosted by Paso Robles Daily News Managing Editor Skye Ravy. She will share the secrets to social media success. It’s time to capitalize on social media marketing sites like Facebook and Twitter, or risk falling behind the competition. 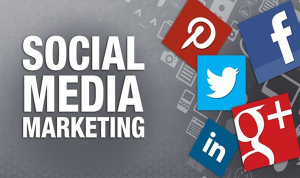 Social media platforms can be a great way to reach your target audience and increase sales. The seminar will be held on Tuesday, June 28, from 10 to 11:30 a.m. at the North San Luis Obispo County Association of Realtors building, located at 1101 Riverside Ave # A in Paso Robles. Seating is limited. Call today to reserve your seat: (805) 226-9890 or click here and make a reservation online. Complimentary coffee and fruit will be served.